So, which is it? The battery has 2100mAh capacity, which is exactly as much as the Samsung Galaxy S III and HTC One X+ have, so the Optimus G can’t rely on that to gain advantage. 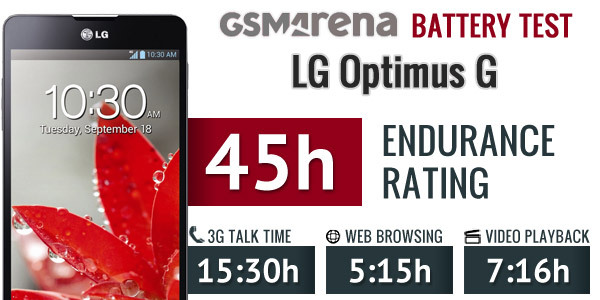 LG is advertising that the Optimus G will last for up to 15 hours in a call and the phone delivered and even exceeded that slightly with 15 hours and 30 minutes. This beats the Galaxy S III time by over 50%, an impressive achievement. The Optimus G didn’t do so hot on the web browsing test, however, depleting its battery after only 5 hours and 15 minutes. The Samsung Galaxy S III used to do this much when it ran Ice Cream Sandwich, but after the Jelly Bean update it added an hour to that time. We suspect the Optimus G time will also improve when LG gets around to releasing the JB update. Then there are videos – the LG flagship lasted 7 hours and 16 minutes before its battery fell to 10%, which isn’t among the best results we’ve seen, but is pretty good nonetheless. If nothing else, it’s 3 hours longer than the disappointing Optimus 4X time. In the end, the LG Optimus G is three hours shy of an endurance rating of two full days. That includes one hour of calling, one of web browsing and one of watching videos each day. 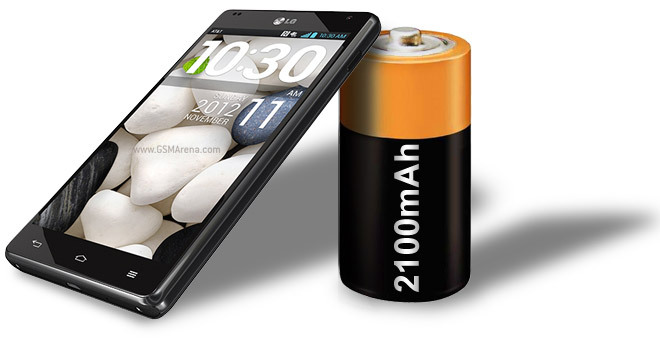 You need to be careful about spending too much time browsing the web (which depletes the battery pretty quickly), but the LG Optimus G offers good battery life that should easily get even heavier users through the day.